It was such a privilege when Fremantle Story invited me to be a part of a shopping famil to promote local creative businesses within the City of Fremantle. Having spent a better part of my uni days working at my family’s newsagency there I grew up with fond memories of Fremantle and its people. Kimberry Behets tells us that the Common Ground Collective is all about showcasing West Australian creatives. Fremantle seems to have a culture and character of its own not found in other areas of Perth. Visitors and locals often frequent the iconic landmarks of Fremantle - the prison, the Round House, Cicerello’s and its harbour, the cappuccino strip and the markets. But dig deeper and Fremantle has so much more to offer. There is a growing number of small creative businesses and cafes tucked into Fremantle’s back streets and on its high street. Michael and Lucy, both residents with a long-standing history of Fremantle, run Fremantle Tours. They have a love and passion for the area and they want more people to discover Fremantle - the creativity, the culture, the arts, the shopping. Michael tells me that people come here and they don’t even realise how much there is to offer. People don’t think of coming to Fremantle to shop. They go to the CBD or the shopping centres but Fremantle has a uniqueness of its own. Many of the products you can buy in Fremantle have been handmade by locals and many of the shops ensure that they only stock Australian made products. Shops like Common Ground and Remedy Store, on High Street, and Many Projects, on Adelaide Street. The Many building houses a collection of local creatives whereby each creative has their own retail space within the building - creatives like Kate and Abel, Anya Brock, Onshore Threads and Sanditoes. Shoppers can go in, meet the makers behind the products, chat with them or stop for a coffee - just spend time there. Carefully curated wares at Compendium Design Store. Michael from Fremantle Tours shares what he loves about Fremantle. The Artisan Store houses a diverse and unique collection of up to 150 West Australian artists. Sanditoes' beachwear in the Many building on Adelaide Street. Then there are shops like The Archive on Market Street, a fashion and lifestyle store which was established six years ago by Sonya. It shares a hidden courtyard with Kakulas Sister and the tiny but purposeful Leake St Cafeteria. Here cafe owner, Wade Drummond, believes in using unusual local organic ingredients to make his own gluten free cakes & slices, pickles, yoghurt, sauces and fermented condiments. “Fremantle is community minded and its customers are fiercely loyal,” says Wade. If it is art that you are after Fremantle showcases some unique West Australian artists in buildings such as the Fremantle Arts Centre, the Moores Building and The Artisan Store. Japingka Gallery features Indigenous art in their store downstairs and a regular exhibition space upstairs. With thirty years of experience in Aboriginal art, Ian Plunkett’s passion and love for it is infectious. A section of artwork by Aboriginal artist Kim West Napurrula titled 'Tali (Sandhills) & Ngumi Country at the Japingka Gallery. 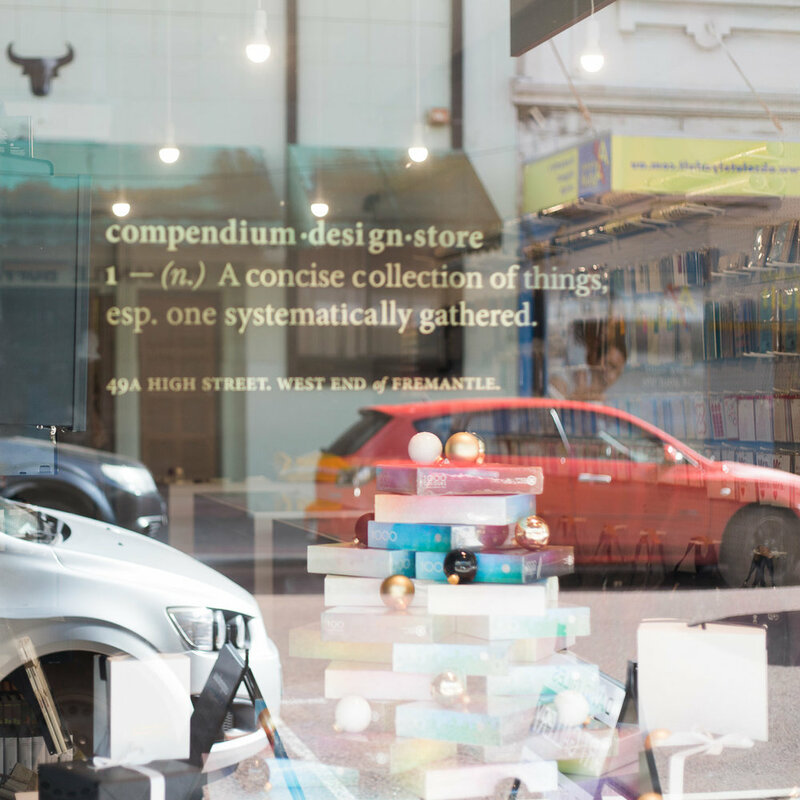 This diversity and creativity can be found in shops like The Artisan Store which houses a diverse collection of up to 150 West Australian artists, Compendium Design Store, Kartique and the New Edition Bookshop which stocks a well curated collection of literature. Look in the most obscure places and you can find unique street art in Fremantle. 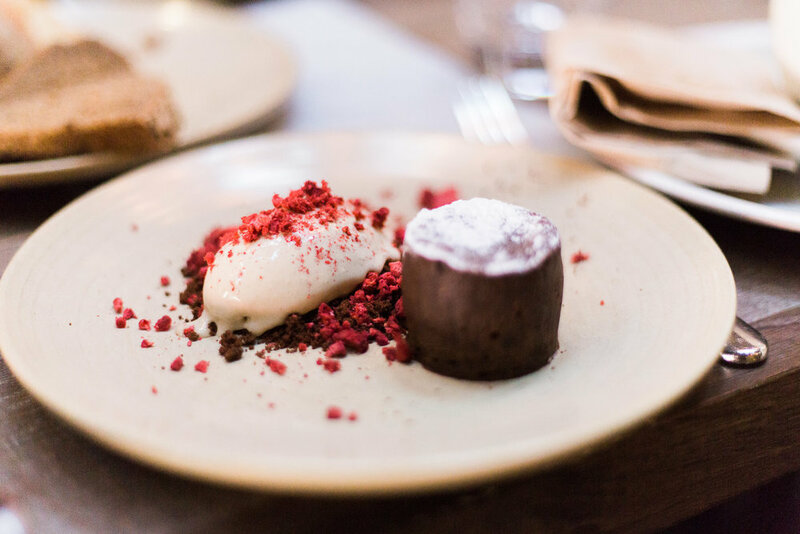 We finished our famil at Bread in Common, where Executive Chef, Scott Brannigan inspires and intrigues our palates with dishes such as Dorper lamb ribs with mint, chilli and black garlic and flourless chocolate cake, oreo, berries and burnt toast ice cream. Then there are the hand built wall depth ovens, affectionately named Hansel & Gretel, where traditional bread techniques are used to produce their signature wood-fired breads. There is so much more to discover in Fremantle. It is the small bespoke retail outlets, the artisans and creatives that we need to support in order for them to grow and thrive in Fremantle. Supporting small businesses means we are helping West Australian families pay their bills, put food on the table and give their children opportunities to grow and the products and service that we receive in return has been made with passion, care and love. Bread in Common's flourless chocolate cake, oreo, berries and burnt toast ice cream.